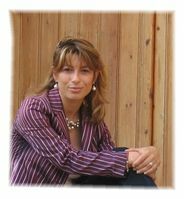 Diana Cerini is Professor of Comparative Law at the School of Law of Università degli Studi di Milano Bicocca (Italy), where she is in charge of the courses of “Comparative private law”, and “Business and consumer contracts in global perspective”. Her academic role includes the coordination of international activities for the School of Law and the Program of Legal Clinics. She is investigating since long time in the field of animal law, specifically concerning animals in the private law perspective, insurance and animal law; animals in relation to fashion law. She has also developed researches and tough animal law in foreign universities. She has been consultant for Italian parliamentary members for some proposal of reforms of laws concerning animal protection.